Opting for a dedicated server means that you get an entire server to yourself. There's no sharing of CPU time, RAM or bandwidth, which means your website stays responsive at all times. Shared website hosting can appear to be amazing value, with feature-packed products available for just a few pounds every month. But the reality is often very different, and they're not always the bargains they seem. Very low prices probably mean the host is cramming more customers onto each server, for instance. Performance will be poor as there aren't enough resources to go around, and the extra load could mean more server problems and downtime. Best of all, dedicated hosting contracts often come with fast and knowledgeable support. The best providers will even monitor your server for issues, like failed services, and can often fix them before you've realized there was a problem. This kind of power doesn't come cheap, and although there are some good signup deals around, you can easily spend $50-$140 a month and more on just a basic package. With that kind of investment, it's important to make the right choice. In this article, we're going to highlight five top dedicated hosting providers who you might want to check out first. Godaddy: For only $69.99 per month, Godaddy's economy dedicated server hosting packs a powerful punch with 4GB of system memory, a Xeon E3 CPU, 1TB RAID-1 storage and unmetered bandwidth. German-based 1&1 is well known as a budget hosting provider, but the company doesn't just offer value for website newbies: its dedicated server range starts at a very low $56 (£39.99) a month for the first three months, then $78 (£60). As you might imagine, 1&1 has had to cut a few corners to hit that price point. The cheapest plans are relatively basic, with limited hardware, although network bandwidth got an upgrade with 1 Gbit/s. Features like SSD drives and server management (1&1 updates, monitors and manages the server for you) cost extra. Oh, and there's also a setup fee of at least $69 (£49). 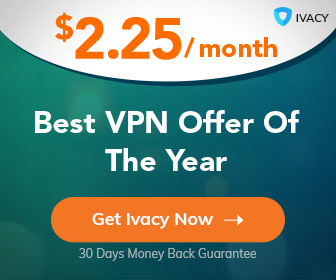 But there are plus points, too, including unlimited bandwidth, bundled Symantec SSL certificates, and the Plesk Onyx server control panel thrown in for free. Overall, even the most limited 1&1 dedicated server plan has enough power to handle many tasks. Demanding users have plenty of paid upgrades to explore, including a faster CPU, more RAM and storage, a bundled backup service and more. Some of these add-ons include more than you might expect, too. Paying $14 (£10) a month for management doesn't just mean 1&1 will look after server admin: you also get a Website Builder, simple analytics, a photo slideshow service, automatic backup and restore for WordPress sites, and more. Sounds like a good deal to us. All systems have 1Gbps ports, for instance (some providers start at 100Mbps). Every server is fully managed, ensuring you're not wasting time running operating system updates or other basic maintenance tasks. Hostwinds monitors your server to detect problems as soon as they crop up, and automatic nightly backups ensure you can quickly recover from even the worst of disasters. Storage is extremely configurable, too. Some servers have four drive bays available, and they can be equipped with any mix of 1TB to 3TB SATA drives, or 120GB to 1TB SSDs. That's considerably more flexible than providers like 1&1, where you can only use SSD drives on some products, and even then they're often available in fixed configurations only (1TB SATA or 800GB SSD, for instance). There's more good news with the choice of operating system. Not only do Linux fans get a choice of CentOS, Debian, Fedora or Ubuntu, but Windows users can choose Windows 2008, 2012 or 2016 Server for a very low $17.50 (£12.50) – we've seen charges of up to $50 (£35.70) elsewhere. Put it all together and the Hostwinds dedicated range is refreshingly honest. Servers aren't crippled by low specifications to hit a price point, and yet final costs remain low, with most updates very fairly priced. Well worth a look for anyone who needs a reliable, highly-specified server for a low price. Opting for dedicated rather than shared hosting will speed up your website in itself, but there's still plenty of room for improvement. A2 Hosting's managed server plans blend multiple tricks and technologies to try and ensure you see the best possible performance. A2 Hosting plans also include Cloudflare's free CDN and its Railgun Optimizer, which "compresses previously uncacheable web objects up to 99.6%" and may result in an average 200% performance increase. In reality you might not see anything like that – the boost will vary greatly, depending on your site – but it's still a technology worth having. Elsewhere, performance-boosting add-ons include RAID 1 SSD storage of up to 2 x 1TB. An optional Turbo Boost feature costing from 42$ (£32) a month replaces Apache with the LiteSpeed server, apparently bringing up to 20x faster page loads, and another add-on can cache the HTML contents of a page, then speedily reload it later without needing to run PHP. We were happy to see cPanel is thrown in, too (it's often a chargeable extra with other hosts). These kind of professional features come at a cost, with even the most basic Sprint plan priced from around $99.56 (£75) a month. But if speed is your top priority then this company could be worth a try, especially as A2's ‘Anytime Money Back Guarantee’ will refund your fees if you cancel within 30 days of your order. Experienced users will also appreciate the many advanced options that OVH makes available. You don't just get access to SATA or SSD storage, for instance – the company also supports SAS and the supercharged NVMe (non-volatile memory-based storage, potentially five times faster than SSD). If you really know what you're doing, you could buy several servers, link them together in a private cloud, and maybe add a load-balancing IP to spread peak-time demand or keep your website running if one server fails.best web hosting for small business eCommerce. Novice users are likely to be confused by over 50 available server configurations, and figuring out exactly what's available can take a little time and effort. But the range of data centers alone could make OVH an interesting choice for many users, and if you're the demanding type, its array of expert-level extras are also worth a closer look. The company's dedicated offerings may look expensive, with a starting price of $199 (£142) a month (at the moment, you pay $123.38 for the first four months), but they're also far better specified than most of the budget competition. Even the cheapest dedicated server includes two speedy 250GB SSD drives, for instance. There's also a 1TB SATA backup drive provided, making it easy and convenient to run regular backups. The plan includes a dedicated IP. Support for Cloudflare CDN should boost your website speeds, and your server can be hosted in one of three data centers (Arizona, Michigan, or the Netherlands). 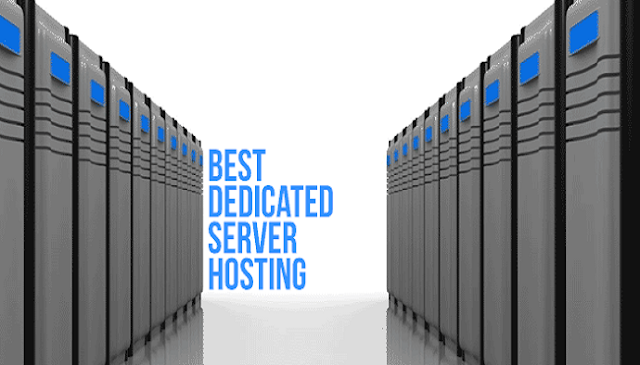 Most importantly, all dedicated servers are managed by Liquid Web's professional support team. They monitor system health, proactively respond to notifications (for example, they’ll restart a failed service), alongside taking care of installing and updating the operating system. If you have any difficulties, support is available 24/7/365, and the company guarantees a 59 second response time via phone or chat, 30 minutes via ticket and email. Factor in the wide range of optional add-ons – load balancers, firewalls, VPN – and the range has more than enough power for almost any purpose. If you're managing a heavy-duty website, Liquid Web needs to be on your shortlist.